First, cook your farro. While there is some controversy over what actually constitutes farro, all you need to worry about is if you haven’t cooked with this grain yet. It has amazing texture, and is a great alternative to quinoa, rice, bulgur, barley or other whole wheat grain in soups, salads, etc. Use 2 cups of liquid for every cup of dry farro. 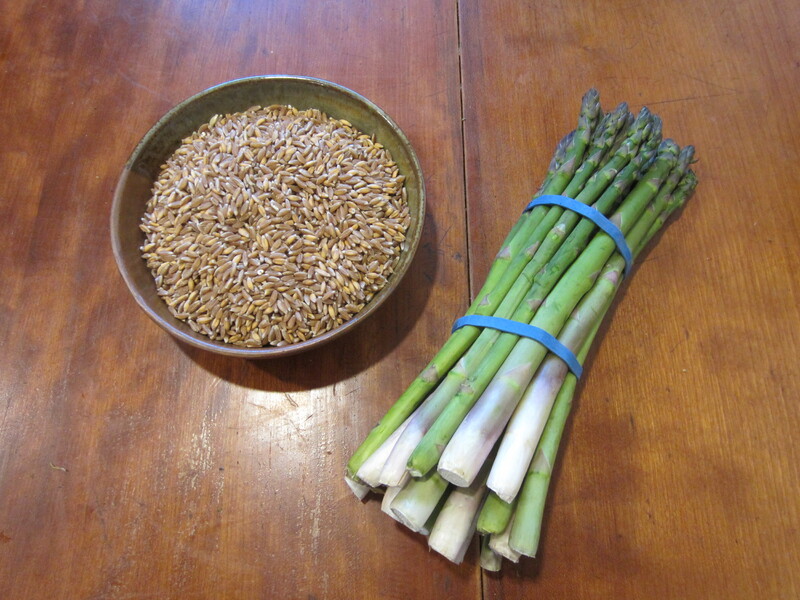 Bring 4 cups of well salted water and 2 cups of farro to a boil. Once boiling, cover and turn down to a simmer. 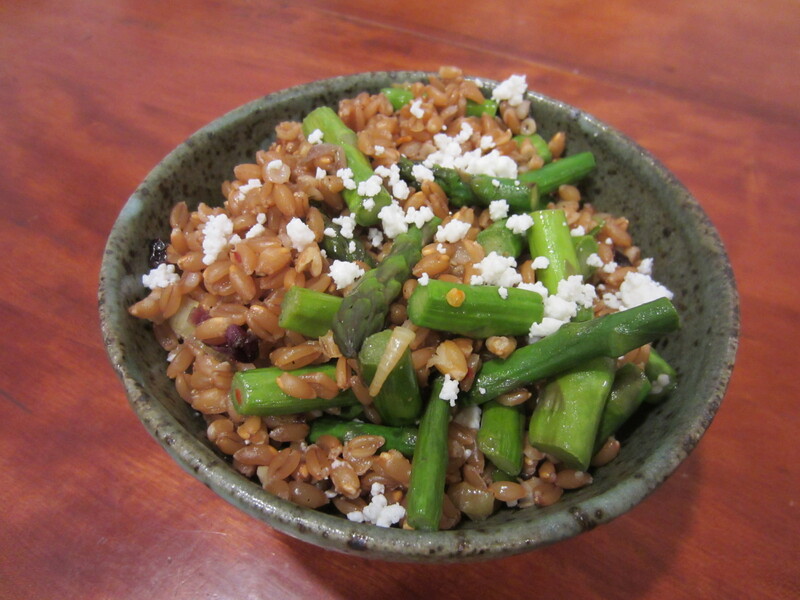 About 30 minutes later, your farro should be good to go! Heat a cast-iron pan to medium heat. 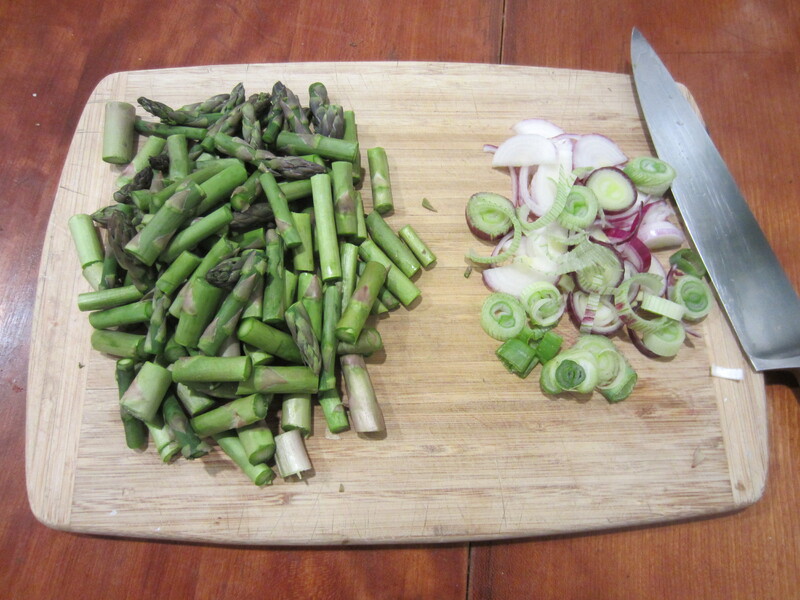 Pour in a generous amount of olive oil and when it’s hot, add the onions and some salt and pepper. Remember, don’t go too nuts on the salt because you’re adding some salty feta later. When the onions are all brown and delicious, add your minced garlic and the red pepper flakes. Sautee away! Empty your cooked farro into a large bowl. 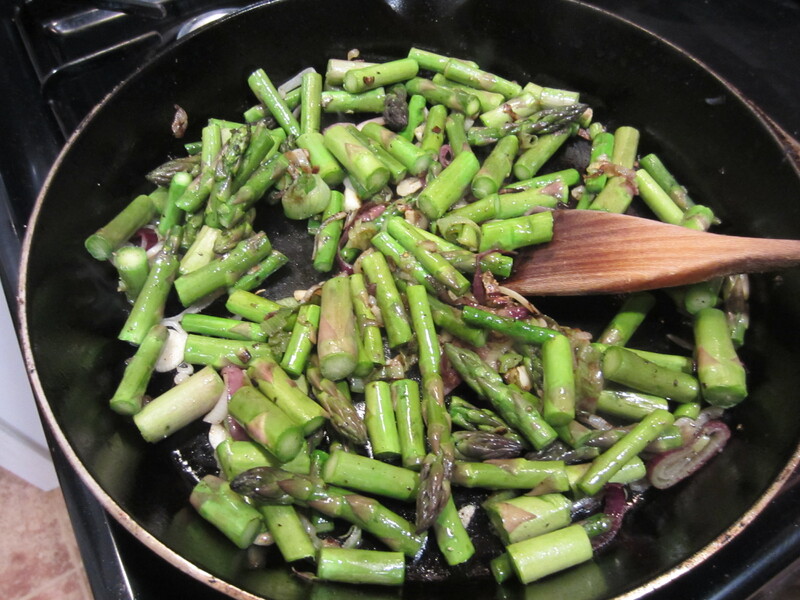 Transfer the asparagus mixture from the skillet into the bowl, as well. Mix ’em together with the feta and make sure all ingredients are incorporated. Add some more olive oil if it’s looking dry. Serve to your psyched guests at your next potluck, or just go on a little farro bender by yourself. No judgment here.